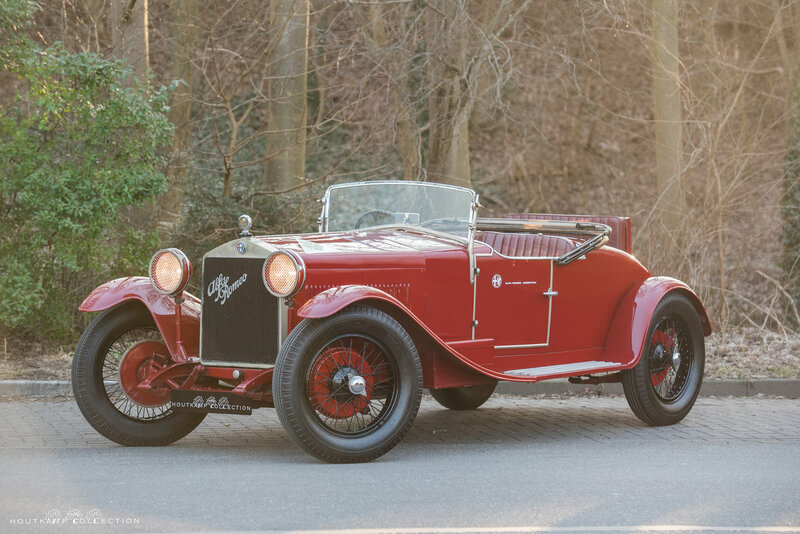 In the twenties and thirties, Alfa Romeo was equivalent to today’s Ferrari, and more, it was supplying not only competitive rides for the best drivers, but also a steady stream of beautifully engineered and constructed cars for private entrants. 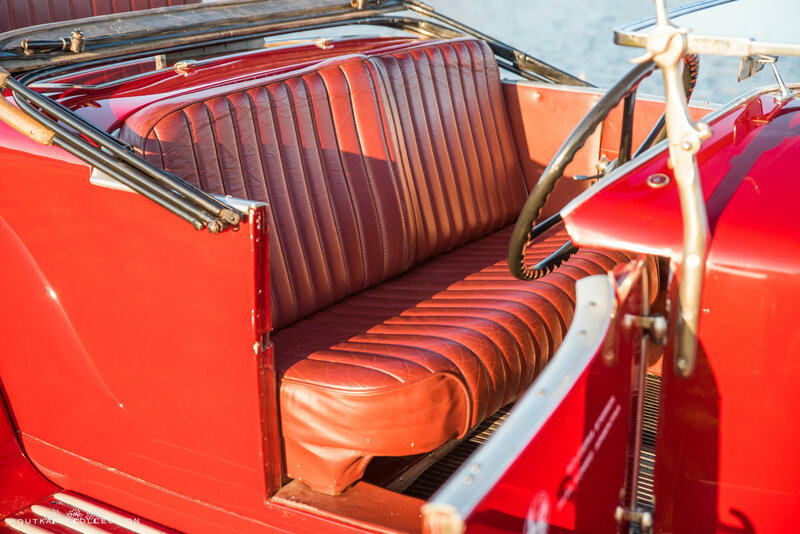 In a time when automobiles were exotic and often idiosyncratic creations, the products of Alfa Romeo were finely crafted works of art, elegant in conception and executed with due regard to combining function with exquisite form. Virtually every important piece was produced in-house in Alfa’s fabrication shop, pattern works, foundry, and machine shop. The product of artisans, each of whom took pride in the performance, reliability, quality, execution, and appearance of his separate creation, these Alfas also reflected the overall responsibility of engineer Jano who continually tested, evaluated, and improved their performance until they met his high, and growing, standards. 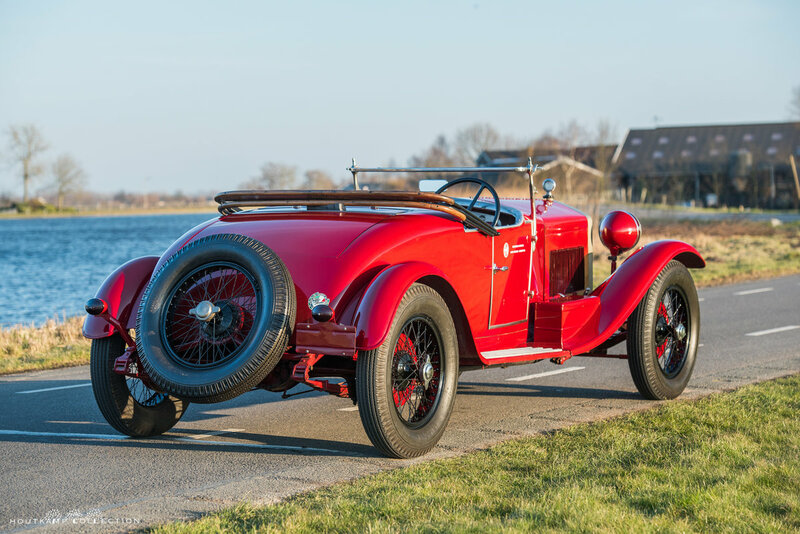 Announced in 1925 but not produced for another two years, the 6C 1500 was designed as a fast touring car combining light weight with sparkling performance. The latter was achieved courtesy of a 1,487cc inline six-cylinder engine based on the P2’s straight eight and producing 44bhp in single-overhead-camshaft Normale form. Twin-overhead-camshaft Sport and supercharged Super Sport models followed, the latter being the first of its type to feature the classic open two-seater coachwork by Zagato forever associated with sporting vintage Alfas. The 1500’s sporting career, aided by its mechanical longevity, extended far beyond its production, which ceased in 1929 on the arrival of the 6C 1750. 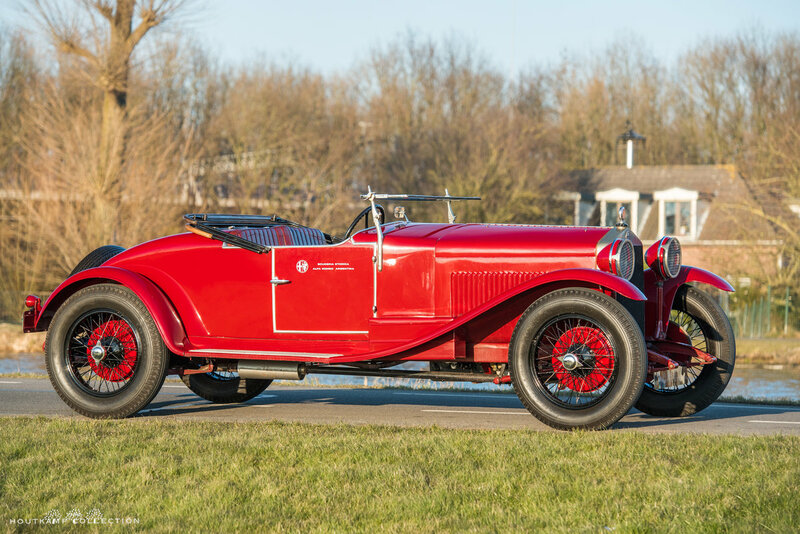 This beautiful Alfa was delivered new as a short chassis in 1928 and imported in Argentina by the Alfa Romeo agent for Argentina Juan Alberto Roccatagliata in 1929 for Mr. Pertoni. The car was fitted with a Torpedo James Young body. 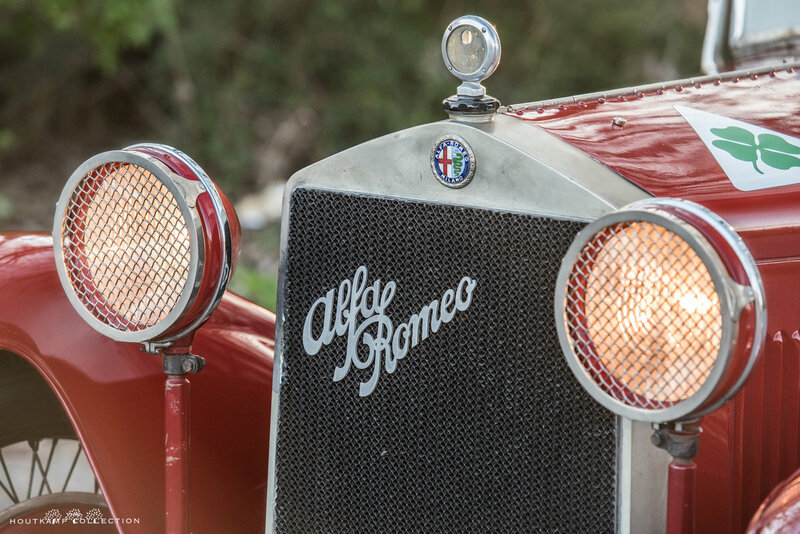 The importer Giovanni Roccatagliata stopped importing Alfas in 1930, and it would not be until the early 1950s that Alfa Romeo would establish a network of Alfa showrooms. The war put an end to racing until 1945, and Argentina, though neutral in the conflict, would emerge in the post war era under the control of one of the most charismatic leaders in Argentines history, Juan Peron. He backed efforts to bring Grand Prix racing to Argentina. The Alfa is Right-hand drive, like all pre-war Alfa Romeos. 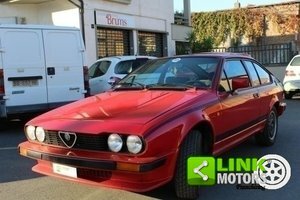 The Alfa was bought in 1970 by Carlos Pieres President of CAC who modified the body and placed a period correct engine from the same series, he also refinished the attractive coachwork in the period-correct dark red color it displays today. 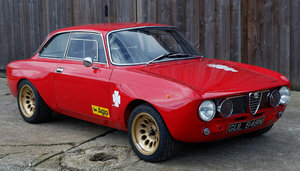 The Alfa was then sold in 1996 to Mr. Guggisberg. Laters owners include Mr. H. Lalanne, Mr. Villa Nueva and the car later passed to the former Argentinian owner Mr. Alberto Mieres in 2012, whose shop went through the car extensively to ensure that it is in a wonderful running and driving condition. The Alfa has spent the 2017 in Italy in Trieste, where was enjoyed by the former Argentinian owner participating in a number of rallies and after this European period with a turistic permission has been bought by us and imported in the Netherlands in January 2018. The exterior of the Alfa is very nice. The car is restored some years ago and used quite often since the restoration for a variety of rallies and tours but the body is still very nice. Here and there it is possible to find a minor scratch or stone chip but this belongs to a car with a serious history. The chrome and aluminum are all in a nice condition. Finished in red leather interior and Black hood, the interior is in generally good condition, the seats are very nice even as the dashboard. 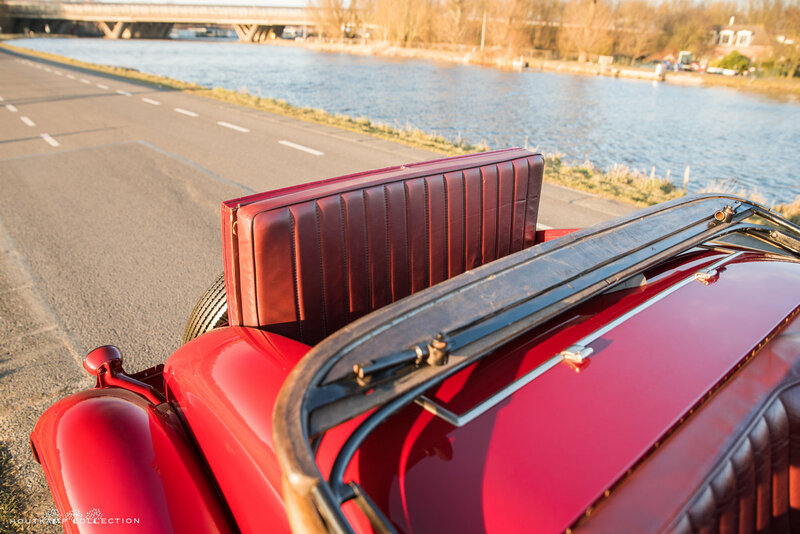 All meters are functioning well and the car comes with a tonneau cover and a black soft top which is in a nice condition. Cosmetically, the Alfa Romeo is very nice; it shows little to no wear throughout and is clean and well detailed from the engine bay to its rear end. The lovely red leather interior is also clean and well detailed, and it complements the exterior color perfectly. This Alfa is lithe, proportionately perfect, and utterly beautiful. Rarely does a rebody surpass the original; however, in this case, it does so with exceptional grace, looks, and performance. The car runs and drives very well. It starts easily and operates as it should. The brakes works well, the transmission shifts properly and the chassis and steering are communicative. For more information or an appointment, please call Rutger Houtkamp+31625098150 or send an e-mail to [email protected]. Please do not hesitate to contact us by phone during evenings or in the weekend. The Houtkamp Collection is centrally located near Amsterdam and only 10 minutes from Amsterdam Schiphol Airport. Car in very good condition, totally rust free with original interior. Probably one of the most affordable Italian V8s from the 70's.